A school librarian who loves to find the right book for each reader, writes about books, mostly for children and young adults. New books and old favourites. Louie is a marvellously scruffy dog. He's just had a bath and smells of roses and apple blossom, not how a dog should smell at all, and he's determined to find his old aroma Such a lovely character drawn with scribbly, splattery lines and puddles of watercolour, you can almost see his smell emanating from him. 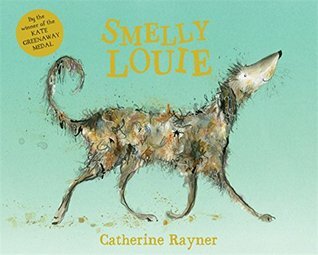 I suspect that kids will love this story and delight in all the stinky, dirty things Louie explores in his search. Background photo by Geralt via Pixabay Creative Commons. Simple theme. Powered by Blogger.